The SBNMS is heavily used by maritime shipping transiting to and from the port of Boston. As a result, the sanctuary and surrounding waters are a hot spot for collisions between commercial ships and whales. A multitude of research has demonstrated that ship strikes and entanglements harm individual whales and can negatively impact populations and species. However, information on how whales use the water column and behave relative to these activities is extremely limited. These data are extremely important in the Sanctuary, which is a national “hot spot” for such interactions and where the development of mitigation strategies is a priority. From 2004-2006, scientists from the SBNMS and NOAA Fisheries (Northeast Science Center) investigated ways to reduce the risk of collisions between endangered whales and commercial ships within the sanctuary. This analysis revealed that the current Traffic Separation Scheme (TSS) through the sanctuary routed shipping over high density whale areas. Analysis further revealed that a small northward shift could move the TSS into low density areas and reduce the risk of vessel collision to North Atlantic right whales by as much as 58% and to all baleen whales by as much as 81%. How do whales use the water column and how can this information inform policies to mitigate collisions between whales and shipping? How do whales react to the approach of vessels and how can this information inform policies to mitigate collisions between whales and shipping? Moller, J. C., Wiley, D. N., Cole, T. V. N., Niemeyer, M., and Rosner, A. 2005. The behavior of commercial ships relative to right whale advisory zones in the Great South Channel during May of 2005. 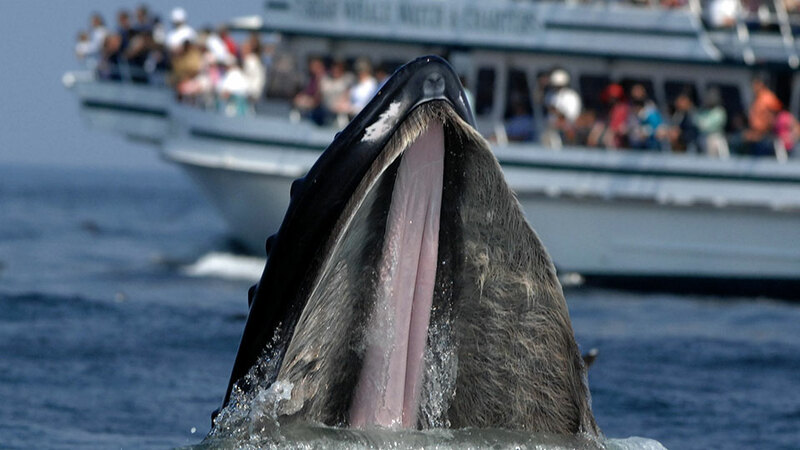 The 16th Biennial Conference on the Biology of Marine Mammals, Society for Marine Mammalogy; San Diego, CA; December 12-16. Wiley, David N., et al. "Modeling speed restrictions to mitigate lethal collisions between ships and whales in the Stellwagen Bank National Marine Sanctuary, USA." Biological Conservation 144.9 (2011): 2377-2381.